‘Beetle Boy’ was an event designed to engage schools with the museum’s collections and entomology using children’s fiction, art and the temporary exhibition, ‘Microsculpture’ by Levon Biss, which comprised of hugely enlarged photographs of insects from the collections. During 2016, the Museum launched an extremely popular temporary exhibition of the photographs of Levon Biss. The amazing images produced seemed a great opportunity to engage children with the science of entomology and link well with the key stage 2 curriculum. After discussions with children’s author M J Leonard, it became clear that we could also link this with the literacy curriculum. The Museum had recently started its temporary exhibitions programme, so we were keen to explore the learning possibilities with a primary school audience to widen the impact of the exhibition beyond the general public. This also helped us to evaluate the attraction of temporary exhibitions to teachers and the possibilities for further exhibition programming. The project was aimed at key stage 2 children and teachers to offer a resource that reflected the cross-curricular style of learning prevalent in primary schools. The event was programmed to fall during National Insect Week, when various organisations also hold events and offer activities to support learning in schools. This helped us gain publicity for the event, engage M J Leonard and allowed us to offer schools access to further resources. We aimed to engage children with our entomology collections and the science of entomology through insect-related activities, as well as introducing teachers to a possible cross-curricular model for doing so. At the same time, we wanted to raise the profile of the exhibition and introduce children and teachers from infrequently visiting schools to the museum as an attractive place to visit and learn. 65 year 5 and 6 pupils were invited from two schools that were infrequent visitors to the museum for a morning of activities based around our Microsculpture exhibition and collections. The morning began with an audience with M J Leonard, who talked about how insects had inspired her best-selling children’s book ‘Beetle Boy’. Following this, the children rotated around a carousel of four 20-minute long activities led by education staff at the Museum. 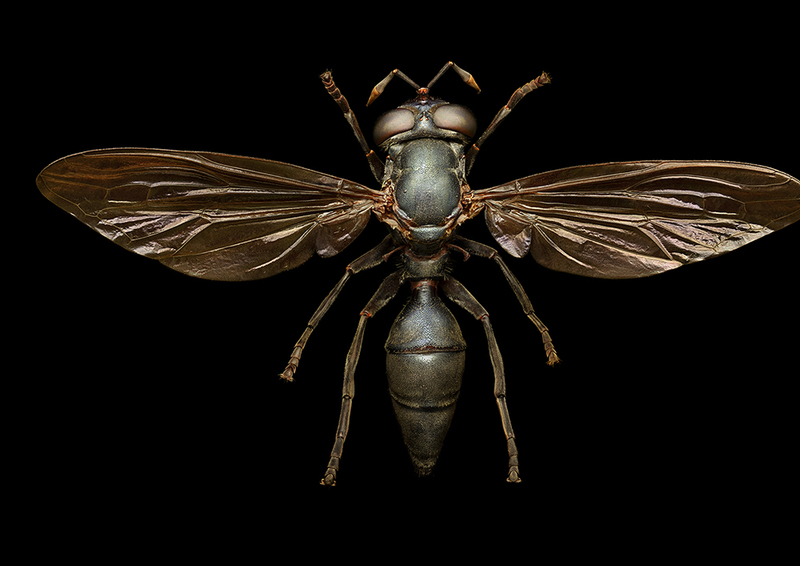 At the Microsculpture exhibition, the children were taught about insect anatomy and encouraged to use what they had learned to draw the giant insects. A separate activity involved handling live insects and learning how arthropods are classified. 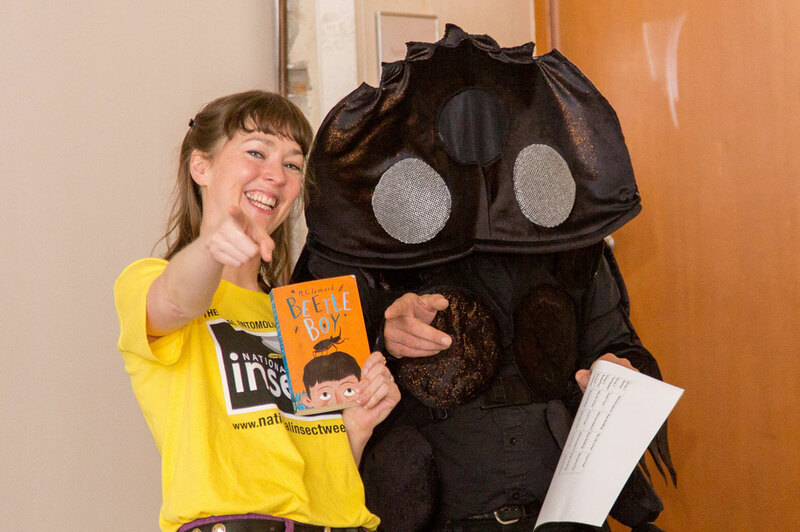 A third activity explored the importance of insect ecosystem services such as pollination and nutrient recycling, which was led by an education officer in a dung beetle costume. The final activity was a teacher-led trail that allowed children some free exploration of the entomology gallery to explore insect diversity. The children fully engaged with and fascinated by the activities. Having the exhibition and involvement of the author allowed us to facilitate many different avenues into teaching and learning that proved very attractive and inspirational to both children and teachers, and we have had more frequent visits from the targeted schools since the project. The cross-curricular nature of the activities and links to the exhibition proved a great draw for teachers and an inspirational provocation for children’s learning, as well as providing food for thought for how we can encourage greater interaction with future exhibitions and our collections.